Stellarton’s A.J. Leadbetter is no stranger to small business. His father owned and operated a painting business in Stellarton for 60-some-odd years, after which AJ ran the family shop himself until a fire severely damaged the storefront in 2015. Meanwhile, he also expressed a love for music, playing guitar in bands around Pictou County for the better part of the last decade. After discovering craft beer and developing a home brewing hobby, AJ spent some time working at Uncle Leo’s in Lyon’s Brook, where he gained an appreciation for the processes and work involved in a production brewery. Now, he’s blending his entrepreneurial spirit and musical bent along with his love of beer and an intensely DIY approach to bring a second brewery to the PC, this one “in town” on Bridge Avenue in Stellarton in the building that formerly housed his family’s paint shop. 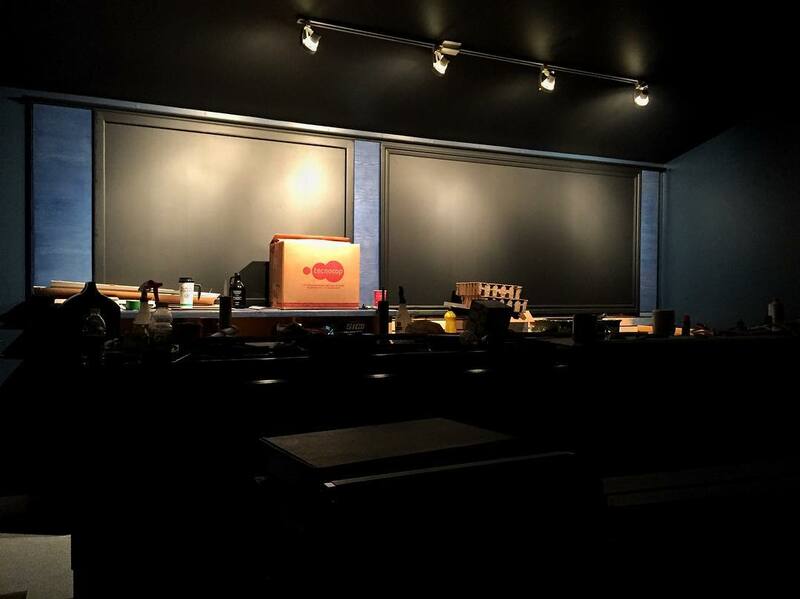 Backstage Brewing Co. is built around the idea of bringing folks backstage, to see the show behind the show. AJ has been busily building his brewery over the last several months, and is poised to start selling beer in September. We reached out to ask him our usual gamut of questions and get the story behind Backstage Brewing. Can you tell us a little bit about yourself? How did you get into the world of beer? I started home brewing a few years ago after my friend Seth got me into it. Started out brewing a few kit beers before getting bored and wanting to get in deep. I’m a bit of a foodie so that desire to create food led to wanting to create beers. Prior to getting into brewing beer we used to do chicken wing parties. Then we introduced my beer to these parties and the reception to them was great. It was that support that sparked the fire to get going on a microbrewery. We have 4-5 that will be in our core line-up. 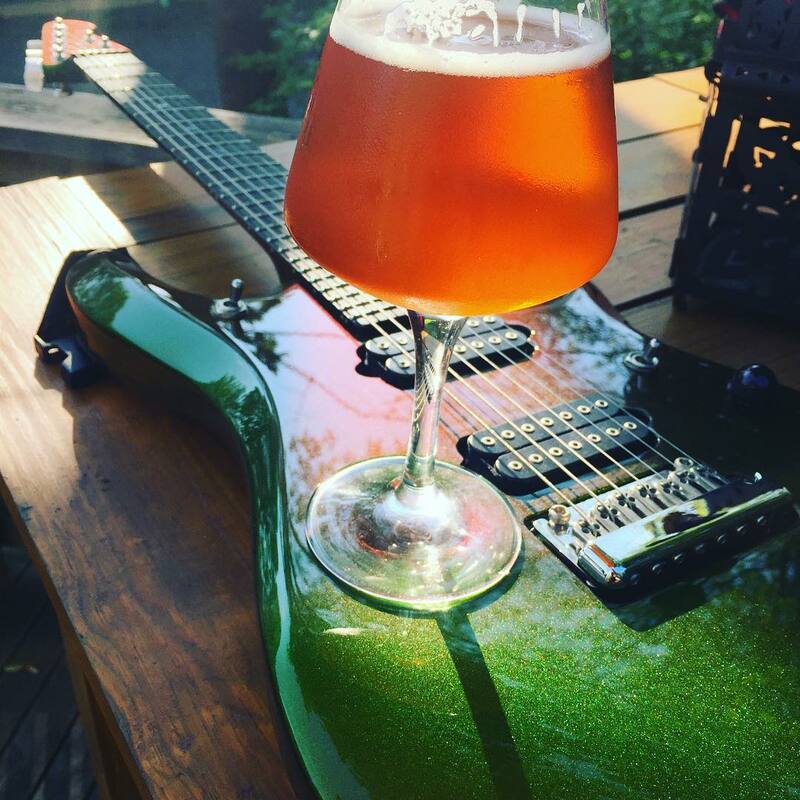 Daydreamer is a pale ale that comes in at 4.8% and 21 IBU. Hangover Helper is an American Pale, 5.3% and 40 IBU; light-bodied and packed with flavor. Headliner is big juicy IPA. It’s 6.3% and 60 IBU. Gemini is a DIPA. 8% and 100+ IBU. It’s big! It’s bitter! And surprisingly easy to drink! Nunmoar Black IPA is 6.6% and 75 IBU. Roasted, Hoppy, and Black. How much more black can it be? None. What are your plans for distribution? Plans for tap accounts, bottles, growlers, etc.? Will you be licensed for on-site sales or consumption at the brewery? Right now, our plan is to sell the majority of the beer out of the brewery: we’ll be offering growler fills of our beers, and operating a taproom, located in the same building as the brewery. Once all our permits are in place, we will have 12 taps of Nova Scotia craft beer, with 4-5 taps reserved for Backstage Brews. We don’t have any local tap accounts lined up but have had interest in Halifax. Our tanks are installed and we’ve been working on filling them. That will hopefully have us selling our products for early September, when we’re hoping to do a soft launch. Yes, I’ve been working for Uncle Leo’s since November 2016. What started as hanging out at the brewery turned into a full time job. Karl and Rebecca have been very good to me. The experience/knowledge I’ve gathered while working in a commercial brewery is kind of priceless. We purchased our brew house from Peter at North Brewing. Peter and Josh have been great. The craft beer community in Nova Scotia is very helpful. In terms of putting the brewery and business together, my wife Beth’s parents, Wayne and Lynn, have been instrumental. Wayne is our head of construction and Lynn is our bookkeeper. It’s a 2.5bbl Psychobrew system. We are hoping to produce 250-300bbl this year. It’s the classic “homebrewer turned pro brewer” story. I homebrewed and people enjoyed the finished beers. Beth has been my biggest supporter and really pushed me to make this happen. Honestly, I love big hoppy beers. West coast-style IPAs being my favorite. I never seem to grow tired of them. Do you have a website, Facebook, Instagram, and/or Twitter page? We’ve been totally focused on making the brewery happen. The social media presence will come. Beer first. Anything else you’d like to share? We’d love pass it along. We look forward to getting our beers out there for people to enjoy. Thanks for the support so far! 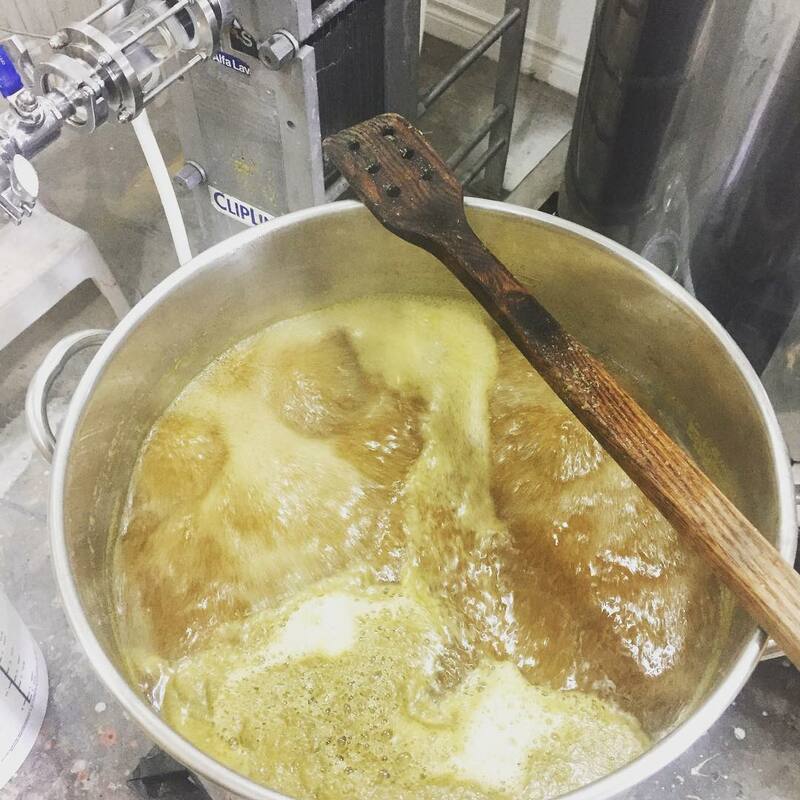 Thanks to AJ for taking the time to answer our questions about Backstage Brewing and letting us know what he’s got in the works. We’ll be keeping our collective ear to the ground for an official opening announcement and we’ll share it with you as soon as we know. 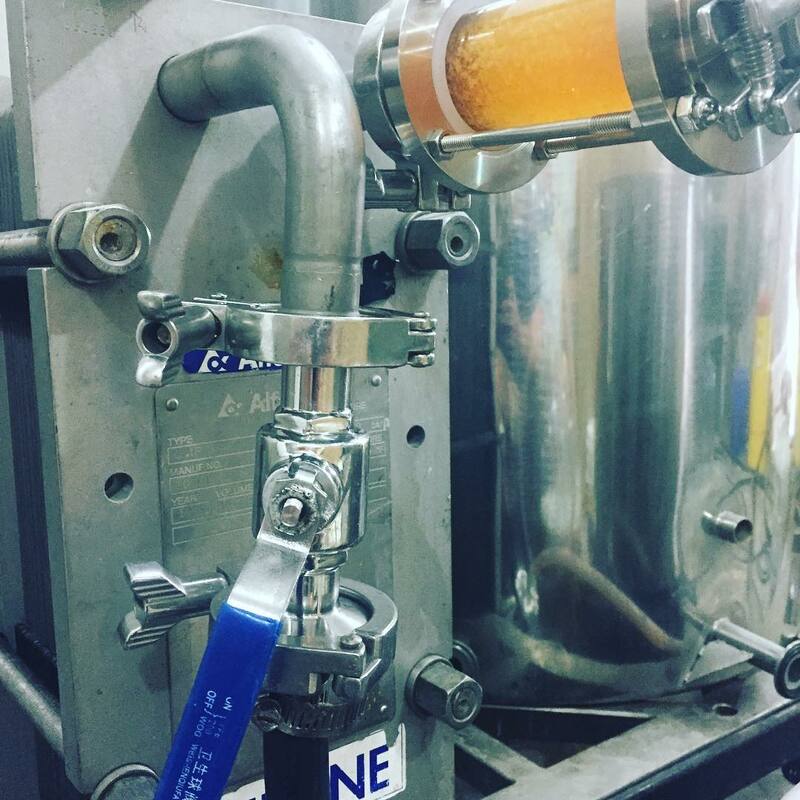 Meanwhile, the best way to follow AJ’s progress is on Instagram where you can see the hard work, creativity and skill that’s going into his brewery and taproom. You’ll also have a chance to hear a more extensive interview with AJ by the gang from 902 BrewCast, currently scheduled to drop on September 19th.